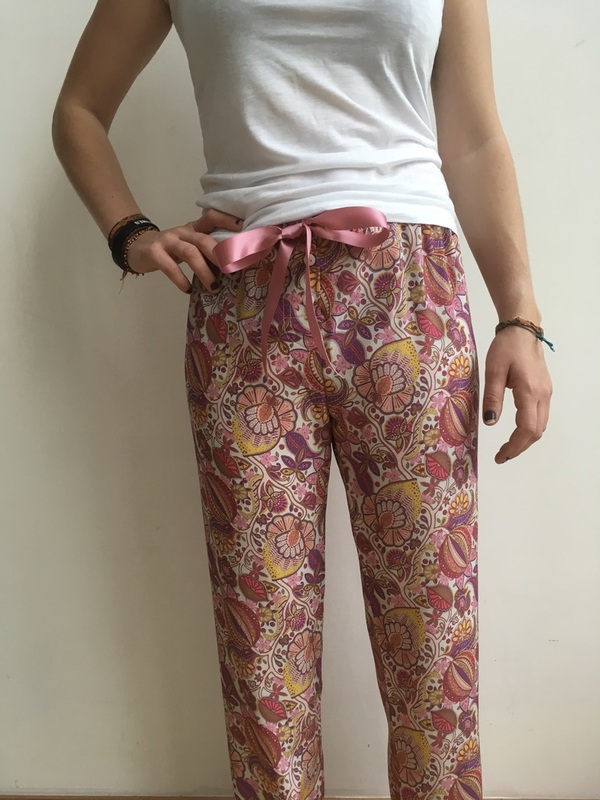 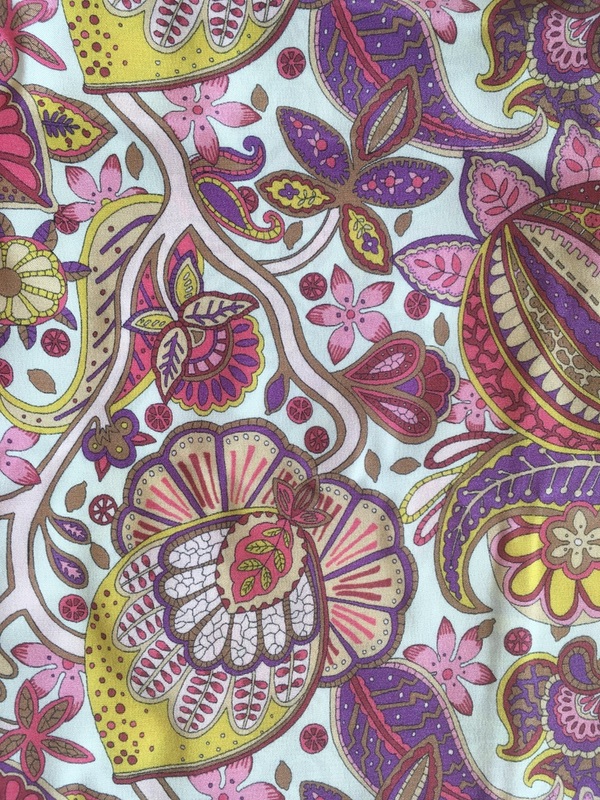 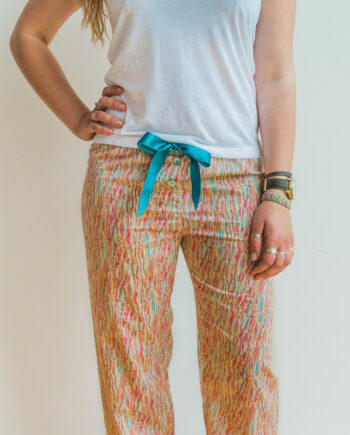 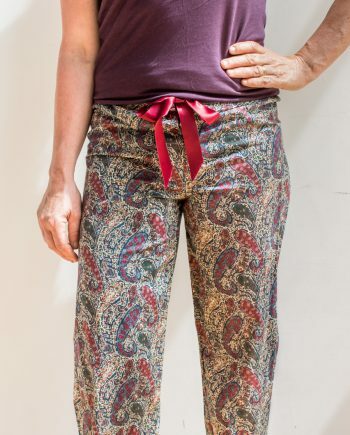 Bright pair of pyjama bottoms/lounge pants made from a classic Liberty silk crepe in pinks and yellow. 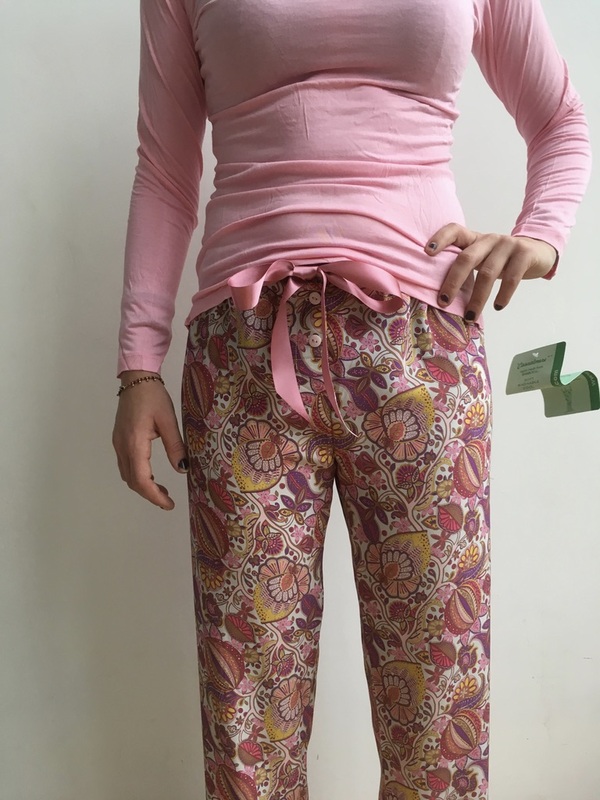 Matching pink satin ribbon and button fly. 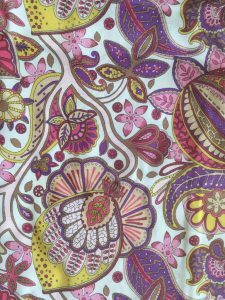 Machine washable on silk cycle using silk detergent.